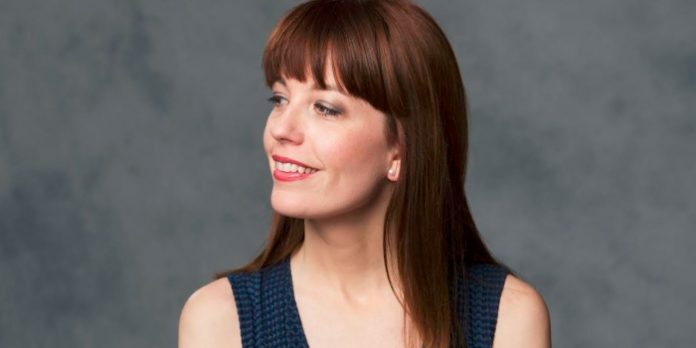 Ashlie Corcoran, the incoming artistic director at the Arts Club Theatre Company is looking forward to finally putting down new roots in Vancouver. While Corcoran officially started with the Arts Club in October last year, she has been fulfilling a few directing contracts before taking up residence in Vancouver full-time. Speaking with Vancouver Presents from Edmonton in advance of the Arts Club’s season announcement, Corcoran was just wrapping up a production of Mamma Mia!. While the two shows are unrelated, it is ironically the same show programmed by outgoing artistic director, Bill Millerd, as his final production at the Stanley Theatre. The last time we spoke with Corcoran following her appointment, she talked of having prepared a sample season as part of the interview process for the role. Fast forward several months, she reveals that several of those shows have made it into her inaugural season. “Four or five of them from my initial fantasy season are in this season, and I imagine that in subsequent seasons the others will also be there as well,” she says. Among them are the Canadian premiere of the Pulitzer Prize–winning play Sweat, by Lynn Nottage, the family musical Matilda, and Mark Crawford’s Bed and Breakfast. The biggest news though comes in the level of diversity Corcoran has tried to achieve in her first season. Among the offerings are eleven plays by Canadians, eleven by women, seven by British Columbia artists, and four by artists of colour or Indigenous artists. Rather than happy coincidence or forced diversity, Corcoran says it is very much to do with her goals for the Arts Club. Corcoran also sees partnerships, and what she calls “conscious eclecticism” as cornerstones to what she hopes to achieve, at least in this first season. Beyond, Corcoran has also set goals for artistic excellence, new play development, and creating more impactful experiences for audiences. One area receiving a bigger push than what has traditionally been seen in previous years are co-productions. In the upcoming season, the Arts Club will present work in partnership with five other companies in both Vancouver and as far afield as Manitoba. While not originally planned, on the Granville Island Stage, Corcoran has programmed a season of comedies. On the smaller BMO stage, Corcoran is experimenting with form, style, and the performer’s relationship with the audience. “I love that space and the flexibility of it and the intimacy of it, and so the plays that I have programmed all experiment or have fun with that,” she says. Included in the BMO line-up are Blind Date in which the fourth wall is eliminated and an audience member will become the star of the show, and in the use of movement in both Redpatch and The Great Leap. The new season will also include three touring productions, and Corcoran has introduced a new program for the company’s 55th season, with Vancouver’s Hardline Productions named as the Arts Club’s first resident company. “I am excited about giving the opportunity for emerging companies and artists here in Vancouver to grow, in artistic, organizational, and financial capacities,” she says. With a season of 18 shows, getting Corcoran to pick a single show she is most excited about is a tough ask. It is perhaps not surprising though to hear she is most excited about the season opener. “Oh god, I love all of them, it’s tricky because I just want to direct every single one of these, but I’m really thrilled to direct The Curious Incident of the Dog in the Night-Time and start the season off with myself at the directorial helm, as well as the artistic director helm,” she says.